A nice, well-designed staircase can become the central attraction in any house, demanding attention as well as serving a practical purpose. Such staircases can be constructed using hardwood, glass, steel or a mixture of many other materials, giving plenty of options to suit your style and preference. Usually, when people want to give their home a sophisticated look, they opt for installing a hardwood staircase. 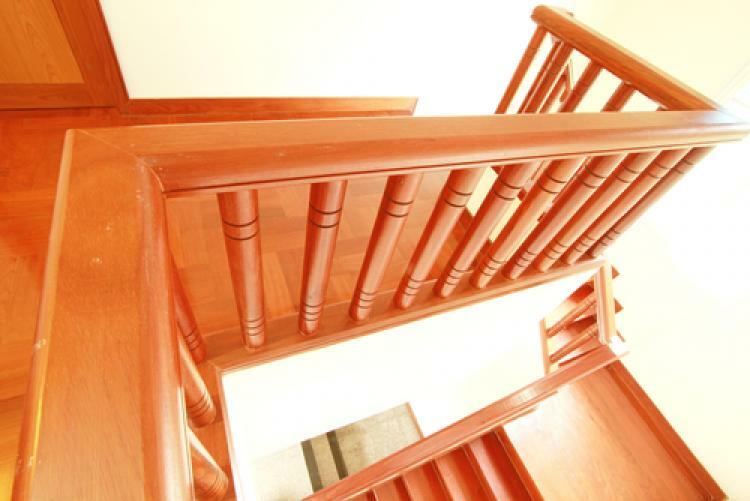 However, there are a number of different staircase parts that go into making a quality staircase, and it is these parts you need to know about whilst considering a new staircase for your home. Let’s take a closer look at what those parts are to help you find and source the components you need. One of the core parts used in any staircase is the tread. This is the part of the stair on which we step or put our feet on. It is thick to ensure that the structure is firm and solid, in order to support varied weights. Treads can come in various styles and materials. If you want to give a contemporary and clean cut look to your house, opt for glass and glazed stair treads. Alternatively, if you are looking for something traditional or stylish yet simple in design, opt for classic hardwood treads. Before buying your chosen treads, be sure to measure accurately; you need to measure the edges and distance between the risers, to ensure they fit perfectly. The riser is another key item from the list of essential staircase parts. This is the vertical portion between the treads on the stairs. To be precise, it is the component that provides support to the tread and helps the steps’ stability and structure. Modern risers are available in various styles and designs, to cater for all tastes. There are even countless creative options for risers, including glass, slate-style, tiled and hardwood risers. When people are considering more contemporary and open plan style staircases for their interior, they often ignore risers in favour of a “floating step” effect. However, it is best to consider including risers because they ensure better safety and security. A handrail is another crucial component in any stairway. It is a protective barrier and support aid attached to the stairs (or sometimes the wall. Often, handrails are installed on both sides of the staircase, but you may find only one handrail in staircases with a wall to one side. Some homeowners choose not incorporate handrails at all if they want a contemporary open stair case, which does give a stylish look to the house but can pose a problem with safety. Handrails ensure safe daily use of the stairs, offering peace of mind, and they should be installed; this is especially the case if you have children or pets in your house. Next on the list is another important element of any staircase; the balusters. These are the vertical posts that are required to hold up the handrail. They are also known as spindles and guards. Ideally, a single tread requires two balusters. They have some space between them, and this allows for some decorative elements. If you are looking for simple or mass-manufactured balusters, you can easily find them anywhere. However, if you want to create a more stylish look, you will find a range of quality contemporary and traditional stair parts here at Blueprint. A staircase is a major element to consider when enhancing your home’s look and feel. With New Year’s Eve and Christmas near, it is the perfect time to think about remodelling your house – even subtly – to give it a fresh look. So browse our collection or get in touch with the team here at Blueprint, and let us help you design and build the perfect staircase for your home.